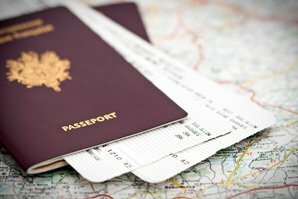 It is possible to transit China without a visa. 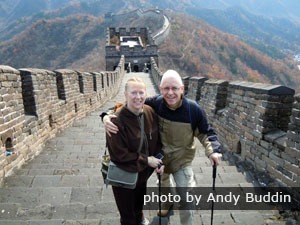 If your layover in China is less than 1 day, you can possibly enjoy a 24-hour transit without a visa (24-hour TWOV). It is available to passengers of most nationalities at most ports of entry. If your layover is more than 24 hours, you can consider 72-hour TWOV or 144-hour TWOV. Visas are not required if you transit through mainland China for a stay of less than 24 hours before heading to a third country or region. You must be in transit to a third country or region, meaning you cannot depart for the country you just came from. Your transit time is no more than 24 hours. 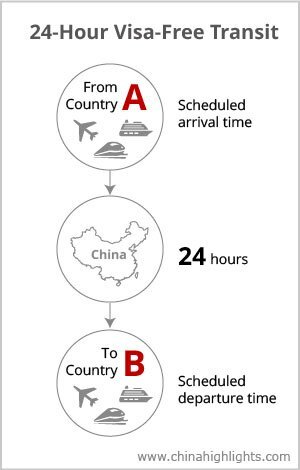 The 24-hour period is measured from your scheduled arrival into China until your scheduled departure from China. You must hold onward tickets to a third country or region (Hong Kong, Macau, and Taiwan are treated as separate regions in this case). For example: USA – Shanghai – Hong Kong – USA. It is ineligible if your journey is New York – Beijing – Hawaii because New York and Hawaii both belong to the US. This policy is applicable to three types of vehicle: trains, ferries, and air planes. It allows multiple stops within mainland China for most airports, as long as you leave mainland China in 24 hours (for example, USA – Beijing – Guangzhou – UK). You are required to remain within the transit area. If you want to leave the port, you can apply for a Temporary Stay Permit upon arrival. 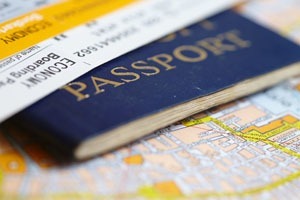 Your passport must be valid for at least 6 months from the date of intended arrival. If you find you aren’t eligible for visa-free transit, you need to apply for a visa. Most countries are eligible for the 24-hour TWOV except those listed below: Afghanistan, Azerbaijan, Iran, Iraq, Kazakhstan, Kyrgyzstan, Malaysia, Nigeria, Oman, Pakistan, Syria, Saudi Arabia, Sri Lanka, Thailand, Turkey, United Arab Emirates, and Yemen. A passport and ticket are required. The 24 hours start counting from your scheduled arrival time and end at your scheduled departure time. Don’t worry if your inbound flight arrives early or your outbound flight runs late — the scheduled time is what matters. 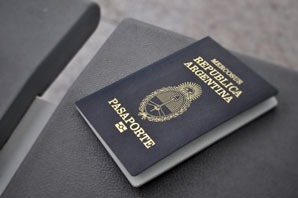 If you are unable to depart on time due to unavoidable reasons, such as a flight cancellation, you need to apply for a visa from the Municipal Public Security Bureau. 1. Passengers traveling with US and Canadian passports are not permitted to use the multiple-stop transit within China if transiting through Weihai (WEH) or Wuhan (WUH). 2. Transit including multiple stops within China is permitted at Guangzhou only when the first transit point is Beijing (PEK). 3. Special provisions apply to Urumqi (URC), where you are permitted to stay in transit for a maximum of 2 hours. Afterwards, passengers need to either continue to other domestic transit points by air or depart China in the next 22 hours. 4. All travelers in transit are required to go through immigration and customs even if they do not intend to leave the airport, except for passengers arriving and departing from Beijing Capital International Airport where they can proceed directly to the sterile transit area without immigration checks. Many cities such as Beijing, Shanghai, Hangzhou, and Guilin have had a 72-hour or 144-hour (6-day) visa-free transit policy. 2-Day Charming Shanghai and Watertown Tour: See the best of Shanghai — the Bund, Yu Garden, and a watertown.